This week I’m covering book two of the Southern Reach trilogy by Jeff VanderMeer, Authority. 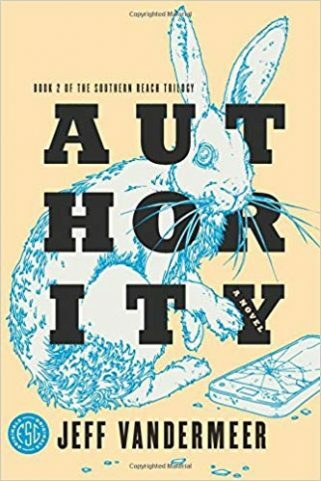 Authority is written from the perspective of the acting director of the Southern Reach (which oversees and researches Area X), a man who insists that everyone calls him Control. Over the course of his first week in his new position he is confronted with everything from insubordinate employees to wild conspiracies and cover-ups to mentally ill scientists to the revelation of family secrets. To say the least, it’s a challenging week for anyone new to a job. Often times the second installation in a trilogy suffers as the bridge between the beginning and the end. In this instance, this is true. 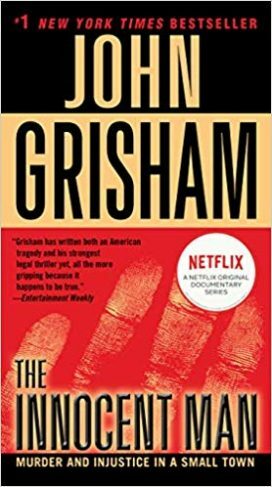 Control (a ridiculous name, in my opinion – made even more so when you learn how he got the name) is a former secret operative who suffered a fall from grace, obtaining his position only because his very powerful mother made it happen. And because apparently no one else wanted to do it. But for someone who allegedly has a very powerful background, Control is weak, ironically inauthoritative. When confronted by someone who is supposed to be his subordinate, he comes across as a piddling, mewling, wimp. And much of the book is office politics and butting heads. What’s happening with Area X and its research is only revealed in secondary story lines. That’s not to say I didn’t like the book, because I did. There are revelations made that are important to the story, and we are led further down the road to figuring out what is actually happening. Area X is it’s on antagonist, but shares that title with hubris and lies. Authority almost comes across as a satire on the current state of affairs in the real world, which makes the story kind of brilliant. As with any series, if you’ve made it this far, definitely keep going. A reader certainly can’t judge a series by it’s middle book. I’m excited for the third and final act. I’m very excited about this! 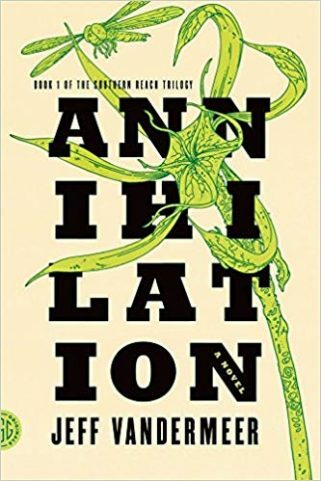 I’m going to be reviewing all three books in the Southern Reach Trilogy by Jeff VanderMeer, starting with book one, Annihilation. In Annihilation we meet the main character, known through most of the book only as “the biologist”. The biologist and the team of scientists she’s joined are on a journey to Area X, a potentially dangerous environmental phenomenon that appeared 30 years ago. Expeditions to Area X have, for the most part, failed, with team members returning mentally and physically scarred, if they come back at all. Very little useful research returns with those who make it back. The biologist is on the twelfth expedition. And she has a secret motive for joining the team, one which I will not reveal here. The entire book is written in the style of journal entries, a style which you don’t necessarily pick up on until towards the end. 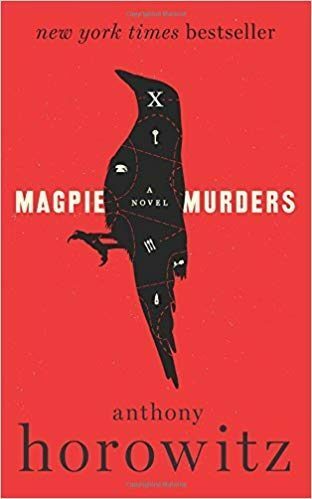 I think Mr. VanderMeer did a fantastic job of making what could have been a very passively told story something very intriguing and fun. The characters, as clinical as they are, are people you want to see succeed or fail, both of these feelings especially pronounced, at least for me, towards the biologist. I liked her because she’s strong, but she also irritated me in ways I can’t really explain. Regardless, a good character provokes you, and that’s precisely what she did. Mr. VanderMeer is also exquisitely talented at setting the scene. Area X is quite different from what we know as the world, in that it is completely devoid of pollution and toxins that we are exposed to on a daily basis. The dichotomy between what we know and what Area X presents is so vividly portrayed that the setting becomes a character in and of itself. And, not to spoil anything, but a dangerous, intriguing one at that. What I found difficult with this book, though, is that at the end, there are no answers. Granted, it’s the first in a trilogy, so of course there are no answers. But I like closure. I want to know what comes next. Which is why next week I’ll be reviewing book two in the trilogy. If you enjoyed Solaris by Stanislaw Lem then I think you’ll like Mr. VanderMeer’s brand of science fiction. PS: a quick side note. If you are reading the book because you watched the movie, or are going to watch the movie after reading the book, be aware that the movie is more inspired by the book rather than based on the book. 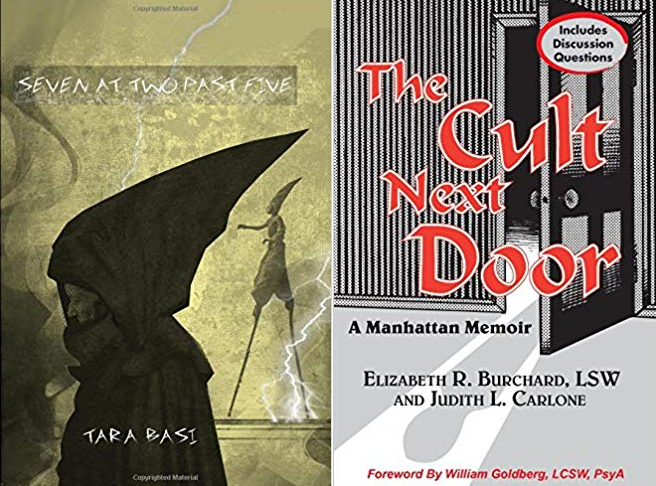 Both are very entertaining, but if you are expecting one to tell the same story as the other, you will be disappointed. Consider each on their own merits. 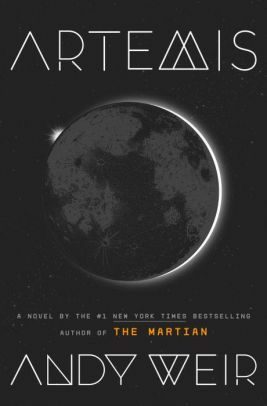 Artemis by Andy Weir was my first foray into science fiction as a reviewer. Of course I’ve read sci-fi novels before, but I’ve kept my opinions on them, and the genre, to myself. Until now. Jazz is a resident of Artemis, the first and only city on the moon. She is broke, owes a huge debt, and is a delivery person and a smuggler. Jazz has a crappy attitude and makes poor decisions. These are all things she freely tells the reader about herself. But Jazz is also entangled in a plot as diabolical economically as it is criminally, a plot which tests her abilities and strengths as well as her morality. And it all happens in the pressurized, low-gravity environment she’s lived in for most her life. Everything about the book, from scenery to dialogue to character development is written in service of the plot, which is a good thing. The plot is strong and well thought out, but without the support of good characters, believable dialogue, and the obviously meticulous research Mr. Weir did to create the city of Artemis, it would fall flat. Luckily for me, it doesn’t. The only real flaw I found with this book is Mr. Weir neglects to adequately state when the story is supposed to take place. Obviously, it takes place in the future. But how far? There are a number of pop-culture references that suggest it isn’t too far into the future, but the technological advancements and moon-Earth commerce suggests technological advancements that may not be within our reach for another 100 years. I finally found an answer when I read a supplemental paper that Mr. Weir includes in the book that posits the economics of space travel to the moon (an interesting read but an odd place to find the actual year in which the story takes place ). Through his research, Mr. Weir, who is also the author of the smash hit The Martian, delivers as much as a scientist as he does as a writer. I thought this book was a fun read, and it’s an excellent selection for people who are interested in reading science fiction and are looking to wade in. 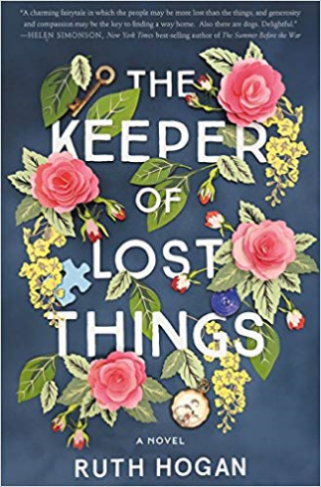 Literary fiction meets ghost story meets romance in the easy-to-read, sweet debut novel by Ruth Hogan, The Keeper of Lost Things. Ms. Hogan creates a story of love and loss, grief and recovery, and of impeccable timing. 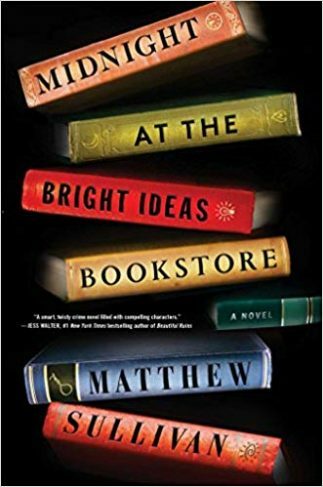 Her characters are lovable and flawed, and their relationships and interactions are defined by enough conflict that they are interesting, but not so much that you simply want to throw your hands in the air and give up all together. The Keeper of Lost Things interweaves delight, mystery, grief, and love, and is satisfying without being overwhelming and charming without being false. It’s not perfect, and falls into some easy cliché’s, particularly in the subplot of the main character’s personal relationship. 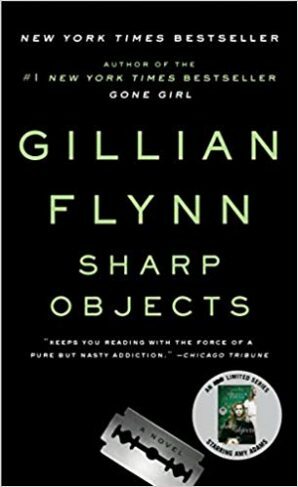 But the flaws in the novel are easily overlooked and don’t come across as distracting. 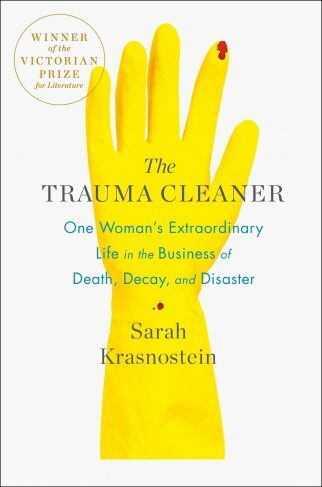 Will this book change your life? No. But it is an interesting interpretation of what happens to the things we lose, and how we can’t possibly fathom the stories each of us holds. In the end, it is a pleasant and entertaining journey. I recommend this book to anyone who is looking for the satisfaction of a Jodi Picoult novel minus the heavy drama.